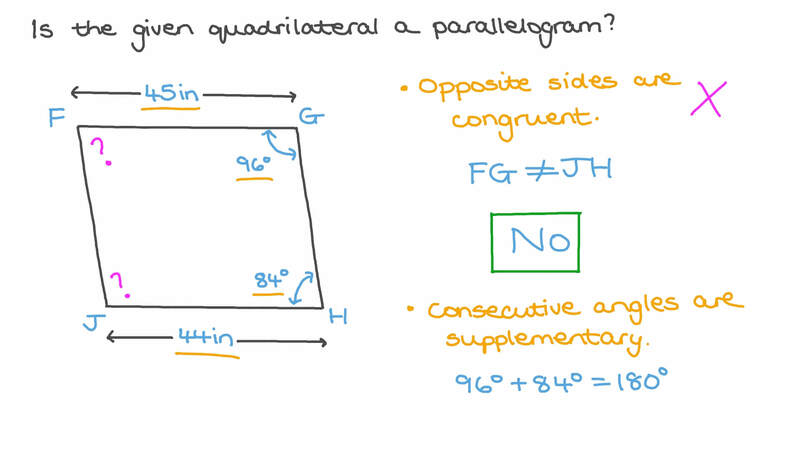 In this lesson, we will learn how to verify if a given quadrilateral is a parallelogram in terms of its sides, angles, and diagonals. AIt has only 2 parallel sides. BIt has only 2 perpendicular sides. DIt is a regular polygon. E It has only 2 angles equal in measure.